Alpha is a series of sessions exploring the Christian faith, typically run over eleven weeks. Each talk looks at a different question around faith and is designed to create conversation. Everyone is welcome! Click here to sign up for Alpha at St. Jerome. Altar Rosary Sodality is a great group of active women in our Parish, praying, working & sharing with members of our parish as well as our community. The Altar Rosary Society supports many activities and charitable functions in our parish. Contact Linda at 419-698-9095 for more details. ​Bible Studies: We offer many different Bible Studies here at St. Jerome. The Bible Timeline: The Story of Salvation; Matthew: The King and His Kingdom; Acts: The Spread of the Kingdom; Revelation: The Kingdom Yet to Come. Contact Gus at 419-349-5121 or guschash@me.com for more details. Faith and Saints is open to anyone who would like to socialize, meet new people and learn about some of our favorite Saints. Please bring your favorite side dish to share. Beverages will be provided. Where: St. Jerome Parish Life Center, St. Anne Meeting Room. Funeral Luncheon Committee prepares and serves the luncheon for funerals. A funeral luncheon will be provided for families of deceased members here at the parish. Our Funeral Committee will serve the meal in the parish hall. Family members, neighbors and friends are welcome to contribute hot dishes, cold salads and desserts for the luncheon. You can volunteer to serve on this committee by contacting Judy at busciapapa@woh.rr.com or call the parish office for more details. ​G.I.F.T. (Gals in Faith Together) is a girl’s night out with FAITH - FUN - FRIENDSHIP - FOOD! Where: St. Jerome Parish Hall. Child care provided. Contact atjackson26@mac.com for more details. 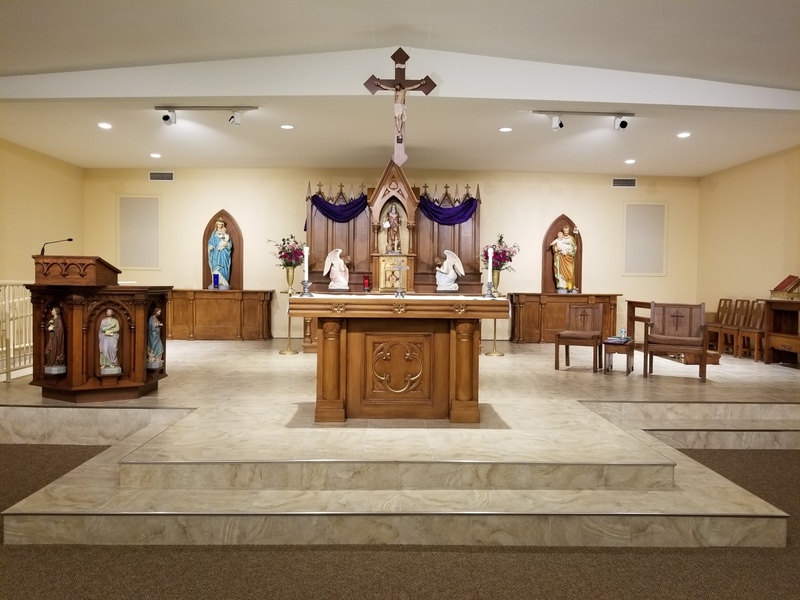 The Greeters' goal is to have attendance at Liturgy at St. Jerome Catholic Church be a positive, enjoyable experience for our regular parishioners and any visitors who are with us. What better way than with a warm welcome and a smile as they walk through the door! Obviously, what we do is greet people as they come to Church. If you are interested in being a Greeter, please contact Frank Kiss or the parish office. St. Jerome Knights of Columbus Council 11450 was founded in 1994 through the efforts of then District Deputy Leo F. Brenot, It is named after St. Jerome Parish in Walbridge,Ohio. The Council works closely with St. Jerome Parish in providing funds for various projects, members being active participants in their parish and community. Landscaping Committee is a group of volunteers cares for the various flower beds around the church grounds. We are asking individuals and families to take care of a small section of the church grounds. The areas include in front of the church, parish life center, rectory and community center. The responsibilities include keeping the flower beds weed free and looking attractive. If you have a green thumb and would are interested in joining this committee contact the parish office. Maintenance Committee assists the Pastor and Parish Manager in overseeing the maintenance of our facilities to provide a safe environment for the parish community. This committee will also assure that the parish facilities are maintained in the most cost effective manner. Contact Aaron at aaronend@att.net or at 419-466-2591 for more information. All high school students are invited to One Purpose following the 10am Sunday Mass in the St. Jerome Community Center Youth Room. We will have lunch, worship, a message, small group discussion and fun activities! ​Seniors on the Go is open to all who are 50 years of age and older. The group meets once a month on the third Wednesday. Each month the group does a different activity. i.e. the Toledo Zoo or Main Downtown Library for a special event. Contact Dorothy at 419-666-0453 for more details. Threads of Faith, Hope and Love began in October 2011. As a group they make prayer shawls, lap quilts for homebound and ill parishioners, as well as a variety of other creations. Contact Elaine at miller53961@roadrunner.com for more details.